Papo Oviraptor alternate colour scheme? Seeing this alternate promotional image for the Papo oviraptor has always confused me. Is it a second paint job for the figure (like Papo did with the velociraptor) or was this just a new artwork created as a promo but the paintjob on the figure itself remains the same? 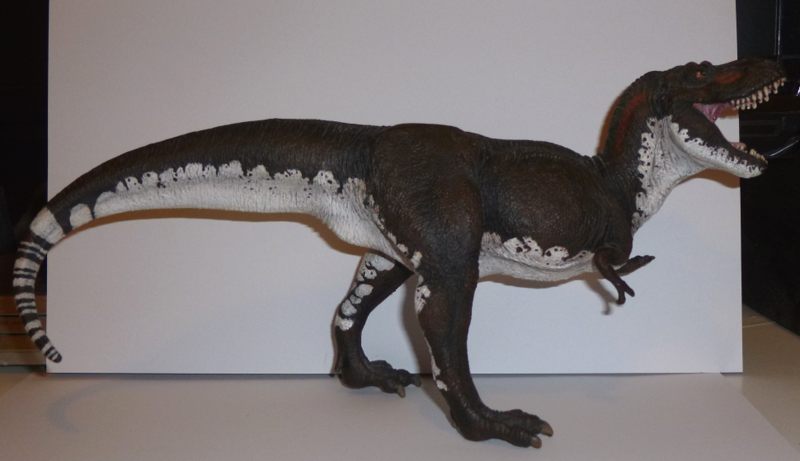 I have never seen a Papo oviraptor toy anywhere on the web with this paintjob before. Re: Papo Oviraptor alternate colour scheme? i have no idea but i hope ifever Papo would remake that Oviraptor, they'd put feathers on it and ditch the egg. This was the original prototype image used as a stock photo for the Oviraptor. The final product never looked like this. Correct. I've never seen the Papoviraptor with this proto paint job anywhere else but on Papo's site (and on the sites of some of their affiliates, though the stock picture was usually quickly replaced when the final product looked a lot different). I certainly don't know of any "live" samples sporting these colours, though I wouldn't mind seeing it in the flesh.